UCoat It America, LLC is based in Royal Oak, Michigan — about 15 miles north of Detroit. UCoat It was founded in 1999 with the primary goal of providing a true, commercial-grade epoxy floor coating system that was widely available to the do-it-yourself customer. Prior to the formation of UCoat It, our floor coating systems were used exclusively for commercial installation for more than 25 years — primarily automobile dealerships, plants and factories. Demand for our floor coating systems and services increased dramatically, not only from our commercial and industrial customers, but also from their employees and customers who desired our system for their own garage, shop or basement. Due to that demand we developed a “do-it-yourself” floor coating system package, allowing homeowners to have the same commercial grade, professional quality floor. UCoat It floor coating systems are industry proven. 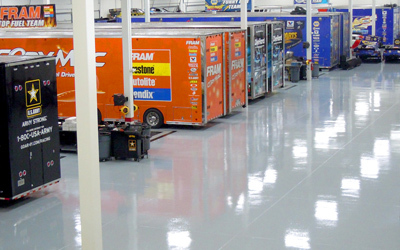 Our floor coatings are used by homeowners, automobile enthusiasts, shop owners, professional race shops, warehouse managers, marinas, military installations and more. 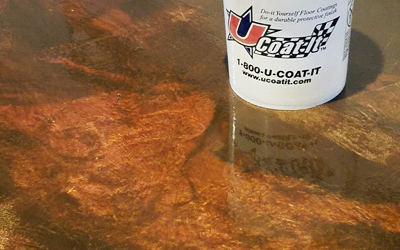 UCoat It is the premier floor coating in the automotive service industry with applications in over 15,000 professional facilities throughout North America.